What Did You Pay for Your Last Rental? NYC’s Economic Development Corporation purchased this land in November, 2009 as part of a 6.9-acre, $95.6 million deal with Thor Equities—that’s $85.3 million prorated to the 6.16 acres being used for the parks. Let’s do some math here: 43,560 square feet to an acre, times 6.16… about 270,000 square feet for the parks. $100,000 a year in rent divided by the square footage? That’s 37¢ per square foot, per year, the city’s charging CAI. 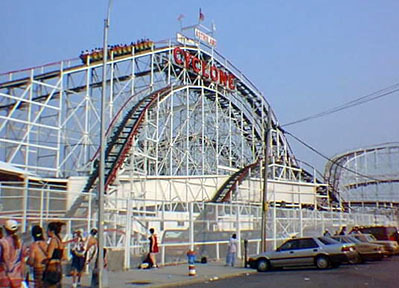 We’re all for Coney Island’s revitalization, and we’re firm believers in the importance of keeping NYC a world-class tourist destination, but we’d hope that City Hall could have cut a better deal for taxpayers than this one seems to be.